Last Tuesday was the one-year anniversary of this blog's creation. For the past year this website has been a place to work on my writing, talk about things that interest me and show off my various professional projects. I’ve been really pleased with this site and with how my career has developed over the past year. In particular, I’ve been touched by all the positive feedback I’ve received from people. I’m always surprised with how often friends or family mention that they love my writing here. It’s nice to see my hard work appreciated like that. To me, the most incredible thing about this blog is all the people who’ve read my posts that I don’t know personally. According to my metrics, I’ve had 16,688 unique visits and counting. When I started this site a year ago I never thought I’d have that many visitors. To celebrate this blog’s anniversary I thought I’d list the top five most popular articles on this website. But before I do, I want to mention two in particular: "Bill Simmons’ Twitter idea might be a game-changer" and "Sandwich Review: KFC’s Double Down". These two posts are the two biggest spikes in readership I’ve had over the course of the year. In both cases my readership doubled or even tripled the day they were posted. As mentioned above, this article was one of the first big spikes in traffic this blog saw. Collecting a total of 202 unique page views since it was first published, this was my first serious stab at discussing the evolving role of media in sports. “An interesting experiment occurred on Thursday night as the Boston Celtics eliminated the Cleveland Cavaliers from the National Basketball Association’s Eastern Conference semifinal with a 94-85 victory. As league MVP LeBron James stepped up to the free throw line in the second half the Boston crowd began to chant “New-York-Knicks! New-York-Knicks!”, referring to one of the more moribund destinations that the soon-to-be free agent might head to in the offseason. Later, the Celtic faithful began to chant “MSG! MSG!”, the acronym for Madison Square Gardens, the home of the Knicks. I’ve reviewed a lot of things on this blog: comics, books, the occasional movie and even some baseball stadiums. But my look at the controversial Double Down sandwich at KFC was the first and last crack at being a foodie you’ll ever seen in this space. That review was particularly timely, earning some buzz and a spike in readership, eventually tallying 214 reads. “It took months to make it possible, but yesterday I finally ate a Double Down from KFC. Normally, reviewing a sandwich is not my bag. After all, my good friend and neighbour John already does a bang-up job over at In Search of a Sandwich. Why would I want to compete? I blogged throughout the Vancouver Olympics, usually in response to a significant event at the games. By far, the most popular of these pieces was my suggestion for three ice dancing routines that would set the performers apart from the cliché-laden pack. When I posted this link on Twitter it was quickly picked up and retweeted by many of my friends, making it as close to viral as this site has ever been. That buzz resulted in a total of 313 views to date. Oddly, and somewhat creepily, “Princess Peach” is by far the most popular search on this website, all thanks to this article. “Like many Canadians, I was thrilled by Tessa Virtue and Scott Moir’s gold medal ice dance performance on Monday night. I would never call myself a figure skating or ice dancing fan – I find that too often the judge’s decisions are political – but I was impressed with the athleticism and technique of all the dancers in the competition. I wrote this piece between Roy Halladay’s departure to the Philadelphia Phillies and the National Basketball Association’s free agency period that saw Chris Bosh take his talents to South Beach. It’s a topic I’d like to revisit sometime, especially since one of my commenters pointed out that my math on the differences in taxes between the United States and Canada might be wrong. Despite the possible error, this post has been read 417 times. “This summer could be particularly heart-breaking for fans of the Toronto Raptors as they face the prospect of forward Chris Bosh, arguably the best player the team has ever seen, leaving the city as a free agent. Toronto Blue Jays fans can sympathize with their basketball neighbours – this summer they lost ace Roy Halladay in a lopsided trade with the Philadelphia Phillies and Seattle Mariners. I try to review every book that I read, even if it doesn’t have anything to do with the general themes of this blog like sports and pop culture. But the incredible success of my review of the Glass Castle shows that maybe, just maybe, I should review literally every single thing I experience. Not just books, but music, food, furniture, public transportation, whatever. Although it is the second-most recent post on this list, it’s garnered far and away the most views at 1,106 and counting. 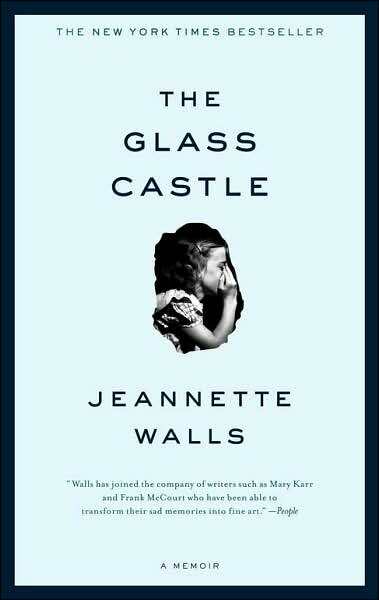 “I never thought that I’d enjoy Jeannette Walls’ "the Glass Castle", but I was wrong. It has been a pleasure reading your blog this past year and I look forward to reading for many years to come.